When you walk down the halls of Our Lady of the Annunciation School, you’ll see many examples of authentic student learning. The Kindergarten hallway is no exception. 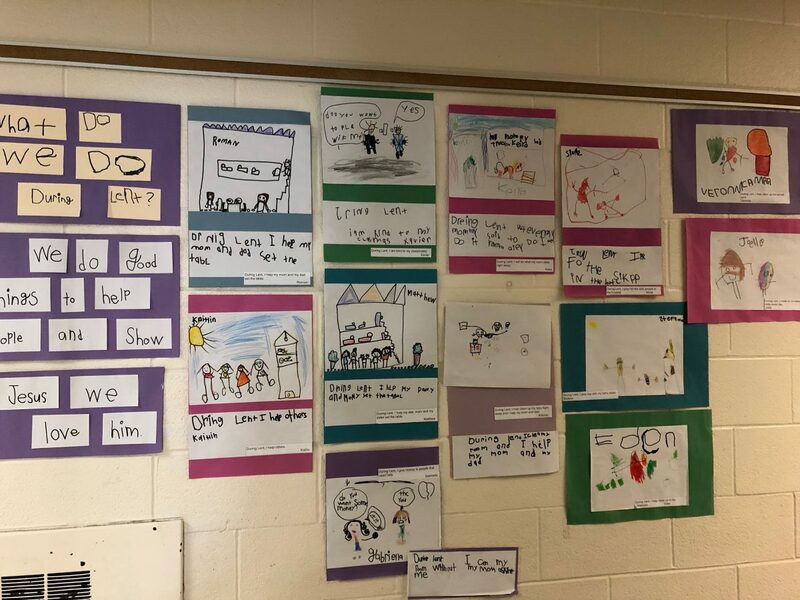 On display right now are the special Lenten Promises by Mrs. Sansalone and Mrs. Dey’s JK/SK students. Their promises are priceless and the display demonstrates the way the students are living the gospel values every day.